Happy New Year Friends. Let’s start the New year with some healthy Middle Eastern touch. Enjoy some Wraps or Rolls with Vegan Pumpkin Falafel. I have already told you in this post about the Food Bloggers Recipe Swap group in FB. It’s been a break from that for a little while. But again the interesting activity started and this time I again got paired with Jagruti. She is a talented blogger,blogs at Jagruti’s Cooking Odyssey. 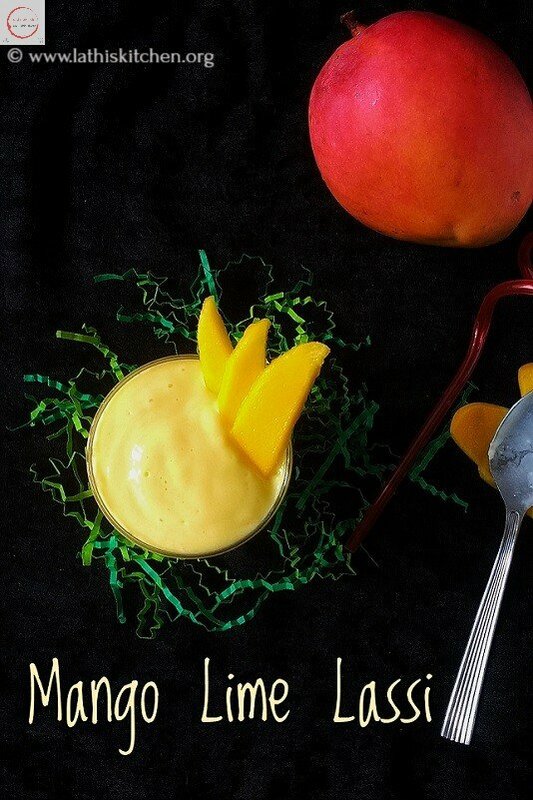 In the previous challenge, I made this Mango Lime Lassi from her blog. When I got the chance again, I just want to try from her International flavor. So I chose these Pumpkin Falafel. She had made these in Appe Pan but I chose to deep fry and Air fry. Falafel is basically deep fried balls made with chickpeas.The Falafel are served with Pita breads or wrapped in flatbreads with some veggies and tahini based sauces. The main thing to remember is to use soak and drained chickpeas not the cooked ones. Grind the ingredients to coarse mixture not smooth. In these Vegan Pumpkin Falafel,I have added roasted pumpkin to the rest of the ingredients.I roasted the pumpkins in oven with some spices and grounded along the chickpeas. The first step is to soak the chickpeas overnight.Roast the cubed pumpkins with cinnamon,crushed fennel seeds,salt and olive oil.It gives amazing aroma. Then coarsely grind it with other ingredients.Let it stay in refrigerator for sometime to after mixing with bread crumbs and flour.Make little balls and deep fry. Serve warm. Yes,you can.After making the balls,brush it with olive oil and air fry in pre heated air fryer for 20 minutes at 350 Deg F.Turn the balls once in mid way.Though the taste and texture differs from the deep fried ones. Pre heat oven to 375 Deg F.
Mix all ingredients under ‘Roast pumpkin’. Spread it in a baking tray and roast in pre heated oven for 25 mins. Once done,let it cool for a minute. Then, take all ingredients except bread crumbs and flour in blender. Remove the mixture to a bowl. Add bread crumbs and flour. Mix it and leave it in refrigerator for a while for the mixture to get firm. When ready to make,heat oil in a pan. Make small balls out of the mixture and deep fry till golden brown. Pre heat the air fryer to 350 Deg F.
Brush the falafel balls with oil and air fry for 20 minutes. Turn over falafels once in midway. The falafels will be crispy when it is warm. If you want to make big batch,make the balls the previous day and you can freeze it. When you are ready to make,just thaw it and deep fry. The air fried Falafel differs in taste and texture from the deep fried ones. You can serve this inside a wrap or you can have this as a snack. Mix all ingredients under 'Roast pumpkin'. Sharing this recipe to Fiesta Friday this week co hosted by Suzzane and Kat. Love this adding pumpkin to falafel. This is new to me, it must have tasted wonderful. Love the idea of using pumpkin in falafels. I love falafel and love pumpkin. This will be an instant hit in my house. 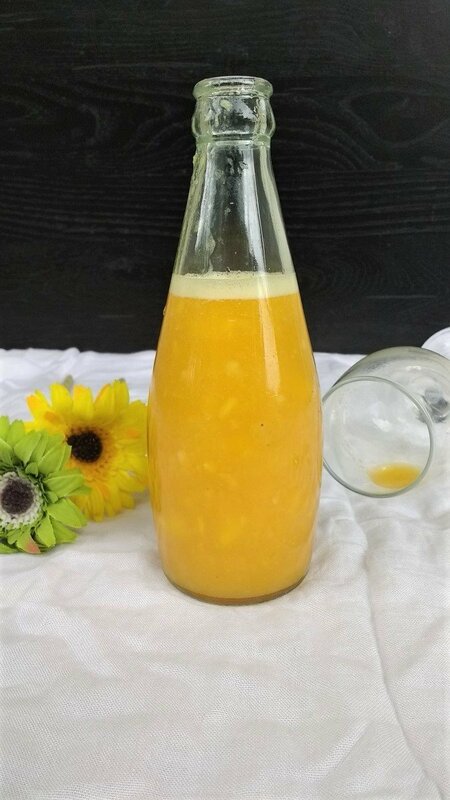 Lathi this a good way to add pumpkin to one’s diet. It definitely must be tasting different from the usual falafel. Now what an excellent way to get pumpkin into reluctant daughters!!! Absolutely love the falafel n will try in the resting in peace air fryer. Thanks. Falafels are one of my favorite things! I love the idea of adding pumpkin – I can only imagine how good that tastes! I have been debating on the air fryer too for a while now. Your recipe looks tempting for me to dive in and yes the pumpkin recipes are really inviting. What a delicious and innovative recipe. I like the fact that its air fried so its guilt free and looks tasty too. Pumpkin in falafels is such an interesting idea… lovely pick for the recipe swap! So glad you chose this recipe of mine, one of my family favourite. These look simply amazing and irresistible. Loving the air fry version too. I have never had pumpkin falafel. This sounds amazing. I love th spices used. Looks amazing and I cannot wait to try this version. Although a bit late I can’t but answer: Happy New Year to you, too! 🙂 Vegan pumpkin falafel are a great, that’s for sure. And these look amazing! This needs to happen stat! These falafel are perfect or snacking or even as a meal; and air-fryed falafel has to be my favorite snacks this month. What a great option using pumpkin that everyone can enjoy no matter what their preferences are! I can’t wait to try it. I love falafel but have never had them with roasted pumpkin. I’m sure these taste divine! Def want to try them! This recipe is a WIN/WIN! WIth this air fried option and being vegan, this makes a wonderful snack for any occasion! These look great, thank you for sharing! Do you think these would work in the oven instead of the fryer? I love falafel and these look really good! I’ve been craving falafel lately and will definitely make some soon. Adding pumpkin sounds like a really great addition, very comforting. I love falafel of all kind and the idea of adding Pumpkin to it is a great one! I bet these were delicious! The flavors in these pumpkin falafel sound so tasty. I can’t wait to try making these and falafel for my first time. Thank you 😊 Hope you like it.. I love everything pumpkin. I have never tried pumpkin in a recipe like this. I think this looks like a fun kitchen experiment for the weekend. It is going to be cold outside. I will stay inside and make something delicious instead. Can’t wait for the results. Love falafel, looks delicious. Thank you for bringing to the party!! I have never had falafel believe it or not. I bet these are tasty with the pumpkin and all the spices you added. What a unique idea. The spices and seasoning sound amazing. And I love that you used an air fryer – I totally need to get me one! I love that you included an air fryer option! I just got an air fryer and have been looking for recipes. This pumpkin falafel sounds like a delicious way to give the air fryer a go. Thanks for sharing! Thank you so much 😊 hope you give a try. I love that you have also included an option to air-fry the falafels! Lathiya these look and sound amazing! I’ll try them out soon! Thanks for bringing them over to Fiesta Friday. I have made other falafels but this pumpkin falafel is lil different idea. I ll try this. Any dips you ll suggest to pair up with this. wow oh wow this looks delicious! Pumpkin + falafel… my two favorite things combined. Do you like air fryers? I have been curious about them! Thank you so much Mack..Ya I do love my air fryer..If your are more health conscious of fried things ,then you can invest in one. You will love it. One thing to remember is do not expect the exact taste of deep fried ones in air fried ones. I love falafels, it’s healthy and so yum. I gonna make these soon!